Once in awhile we come across a tool that is so helpful, we have to share. Introducing the "Yarn It" accessory, which is not made by Kreinik, but is useful for anyone knitting or crocheting with Kreinik. It holds you yarn ball and Kreinik spool in one place as you stitch. Somehow this yarn holder seems so much easier, cuter, more mobile-friendly than some of the others we've seen on the market. Designed by Kate Sullivan out of necessity, it is made in the USA. "I am the proud owner of every bag and organizer out there, still nothing was doing it for me," Kate said. "My "aha" moment happened at 30,000 feet. My yarn fell out of my lap, rolling under multiple passenger seats behind me and all over the grimy floors of the airplane. By the time passengers were able to kick it back to me it was covered with months of crumbs, dirt and who knows what else from the airplane floor." Kate adds, "Then the 4-hour drive in the car back and forth every weekend [to the farmhouse they were renovating] was prime yarning time but now, unavoidably, the car floor was covered in mud, stones and bits & pieces from the construction and was wicked when my yarn fell from my bag or lap to the car floor mat." So she invented the Yarnit. 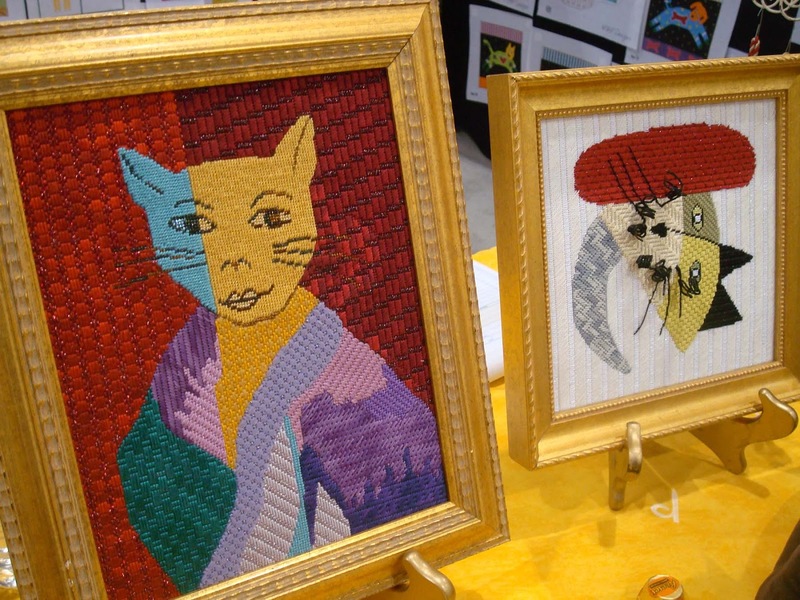 By the way, this homegrown product development is something we can relate to: Kreinik Manufacturing Company began when Estelle Kreinik made the first thread organizer on the market, back in the 1970s, when she found her threads all over the place in the car, on the Kreinik's many road trips. But anyway, what's so great about the Yarn It? Take a look at the video here to see all the fun details. 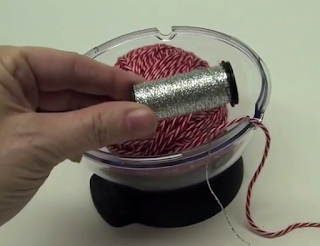 Inventor Kate shows us how to use it, and we show you how to use it with Kreinik thread. It just makes knitting or crocheting easier, and we're all for that! Travel yarn holder. Protects your yarn from dirt, pets, and rolling on the floor. Holds a ball of yarn and a Kreinik spool of Blending Filament or Ombre. Docking slots keep needle tips and stitches safe when you aren't knitting or crocheting. The base stores stitch markers, darning needles, etc. Built in strap allows you to suspend the Yarnit from your shoulder or chair. It is made of Lexan, which is a polycarbonate used in things like race car windows, hurricane windows, transparent visors for astronauts, hockey and football players, etc. The base is made from a polymer that is highly flexible, affording a solid grip to any surface. It comes in a variety of colors. Forget about the dog days of summer, we all know that cats rule the space-time continuum. If you haven't already fallen in love with internet cat sensations Lil Bub, Grumpy Cat, George2Legs, Maru, Snoopy the Cat, Colonel Meow, Nala, Cooper the Photographer Cat, then you're probably using your time wisely, and we a-paws you, er, APPLAUD you. 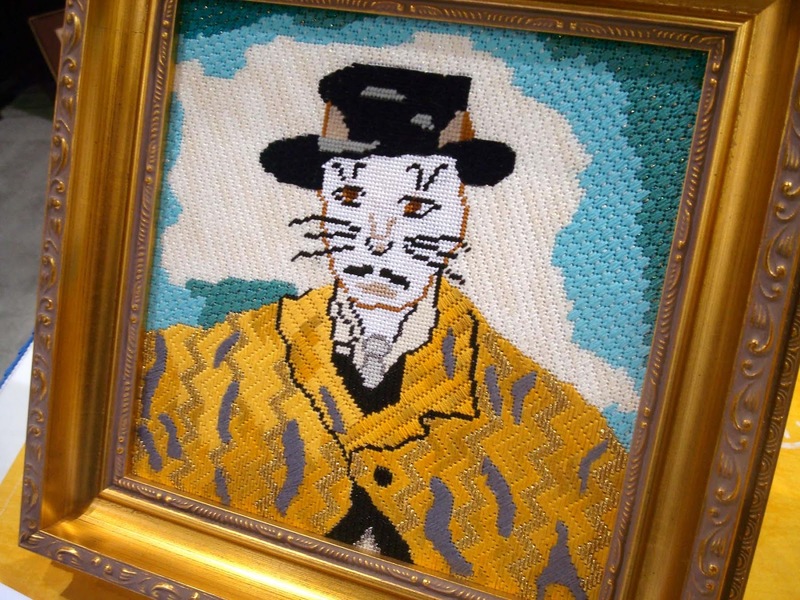 For the rest of us who love cats, there's a must-have needlepoint canvas line from designer Marla Pelz of MAP Designs to stitch and show all of our friends, or at the very least hang in our hallway galleries. Each design is a cat-take on a famous painting or famous painter's style. 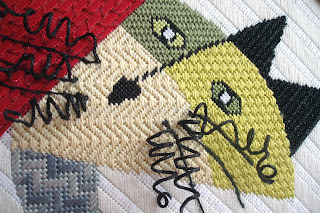 Marla has stitch guides for several, and often uses Kreinik metallic threads. 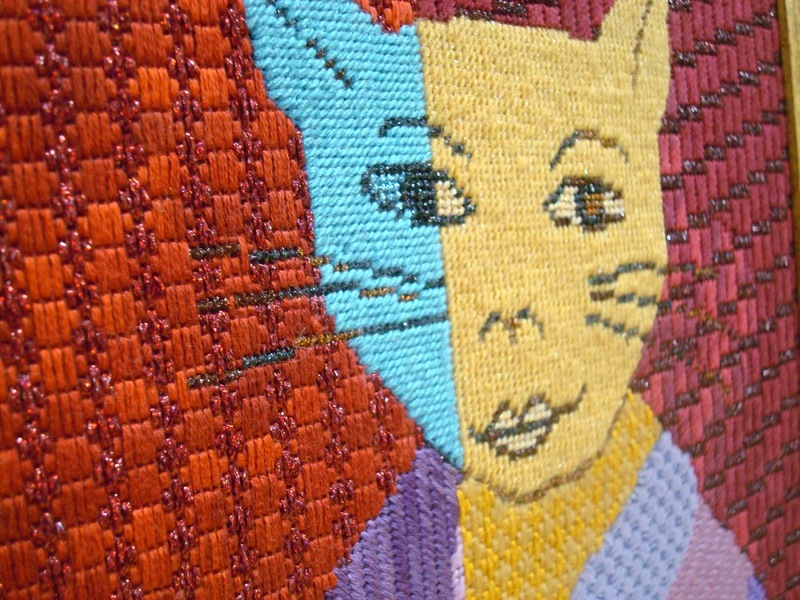 A favorite is using Kreinik Wired Braid™ for the cat whiskers. 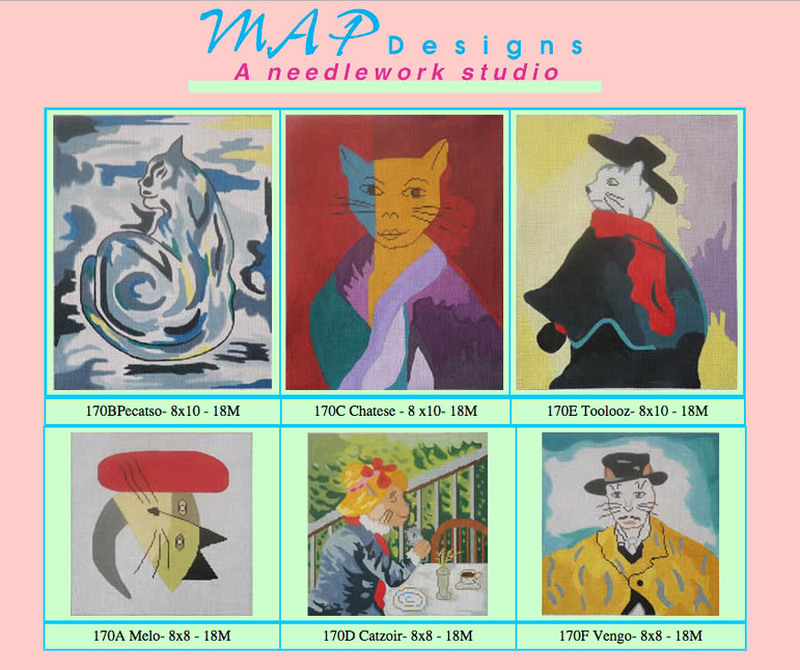 Designs like Pecasto, Chatese, Toolooz, Melo, Catzoir and Vengo are purrfect—sorry, can't help it—perfect for offering a classic design, with a cat motif, for your own artistic interpretation. Your stitches and threads are your paints…and your MAP cat design will be one-of-a-kind. Marla has been designing hand painted needlepoint canvases for several years. 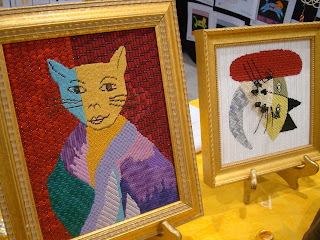 She also owned a retail shop specializing in needlepoint, knitting and crochet. 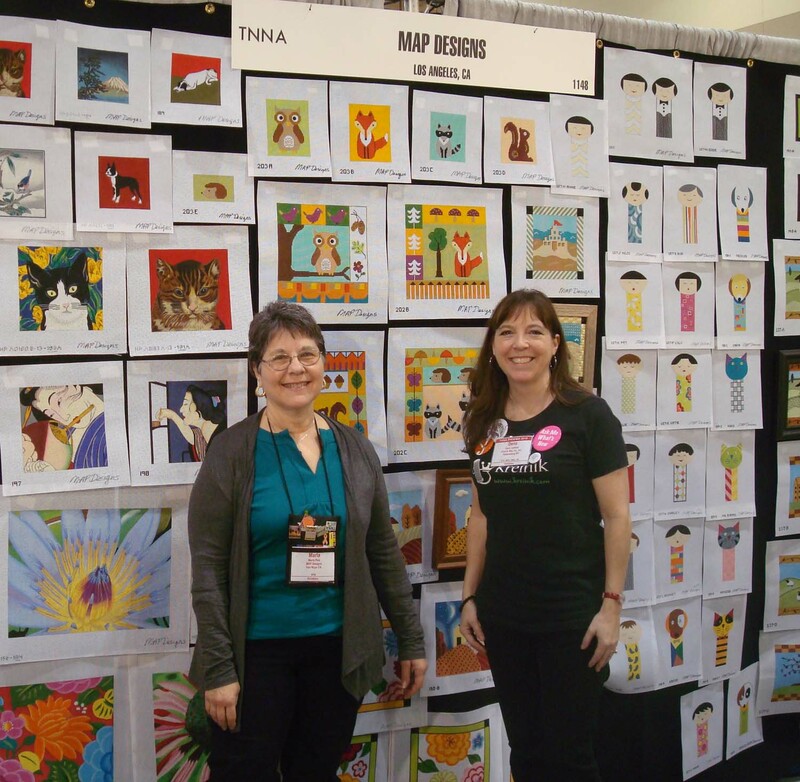 Today she focuses on the painted canvas line as well as teaching classes in her studio near Los Angeles, California. 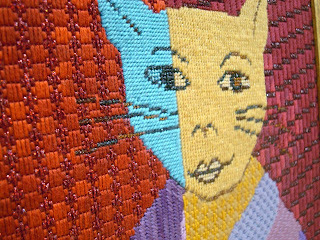 You can see more of Marla's designs on her website http://www.mapdesignsneedleworks.com/ or in needlepoint stores.